Welcome to your own slice of Paradise! 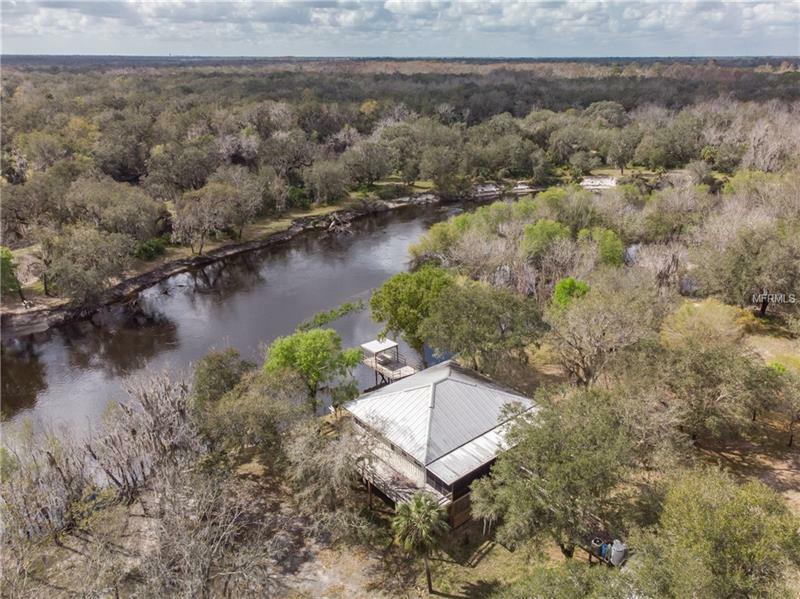 Relax and enjoy this truly unique 2 bedroom 2 bath custom built stilt home on over 2+ acres of beautiful property nestled on the banks of the picture perfect Peace River where serenity abounds. Envision this beautiful destination as an ideal weekend getaway or the perfect place to call home where you have the optimal gathering spot for all your entertaining plus room for all your toys. The home is powered by a whole home generator. Home features metal roof, French doors in both bedrooms and in the living room all which lead to the enclosed patio overlooking with full view the tranquil Peace River. Custom wood cabinets in kitchen, vaulted ceilings, inside laundry room, tankless water heater, oversized screen enclosed porch on the rear of the home and open wood decks on each side of the home. The ground level has concrete slab and endless possibilities where you can visualize your dream and make it yours. Fenced property with gate. Oversized wood river dock.